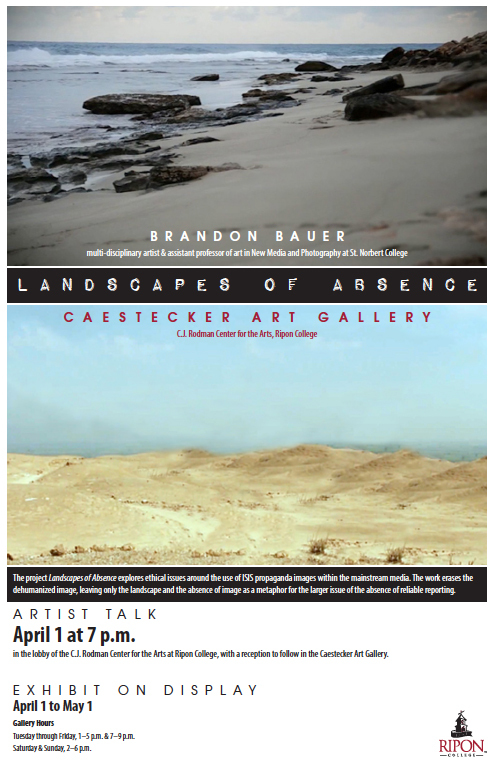 My exhibition Landscapes of Absence will be on view April 1 through May 1 in the Caestecker Gallery, at the C.J. Rodman Center for the Arts, on the campus of Ripon College. An artist’s talk will be presented at 7 p.m. April 1 in the Rodman lobby, and a reception will follow in the gallery. Next Filmideo at the Newark Museum!